The designing and manufacturing stage of all Alberti angle heads - either standard or customized - start in the engineering department which is responsible for product concept, design and development. Determine if your application needs a custom angle head. For over 35 years, Alberti has been providing the most innovative range of products that are extremely reliable and enable manufacturing to strict tolerances. Fixed angle heads, offset angle heads, multiple output heads, long reach angle heads are just a few examples of Alberti's design and manufacturing capabilities. Custom designed angle heads and stationary tools from Koma Precision represent the state of the art in ultra precision, application specific tooling. Tools are designed to facilitate unmatched precision when machining parts with demanding complexity. 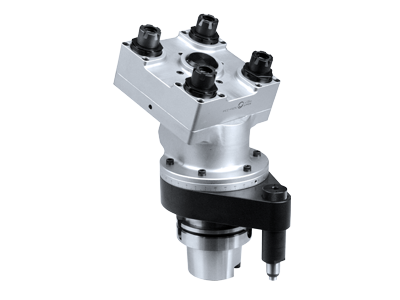 Specialty angle heads, multi-spindle tooling and stationary multi-spindle heads have been designed incorporating up to 252 spindles for a complete range of machining centers, as well as OEM specialty machinery.